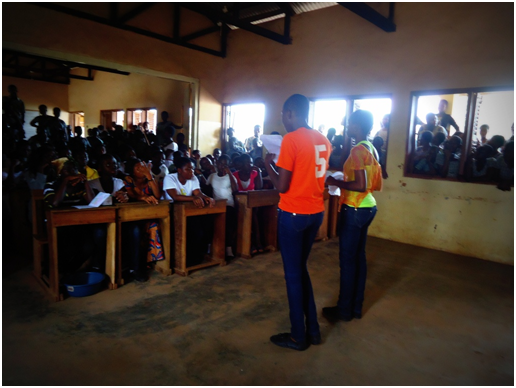 The LitClubs of Kumasi Ghana run in partnership with the Millennium Cities Initiative held celebrations across the city. Members of South Suntreso Junior High Girls LitClub had fun writing and then acting out a sketch entitled “The Genius Woman in the Society." 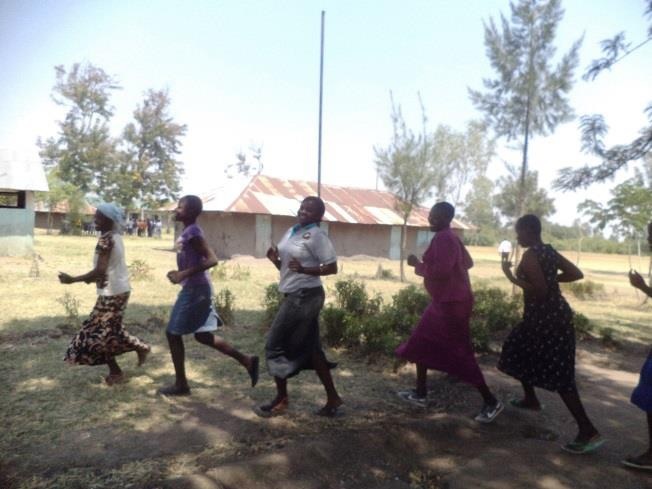 After coming together to celebrate the Day of the Girl within their own LitClub and school, the girls of South Suntreso went for a march around their community to spread the message that the power of literacy and the right to tell her stories belongs to every girl. 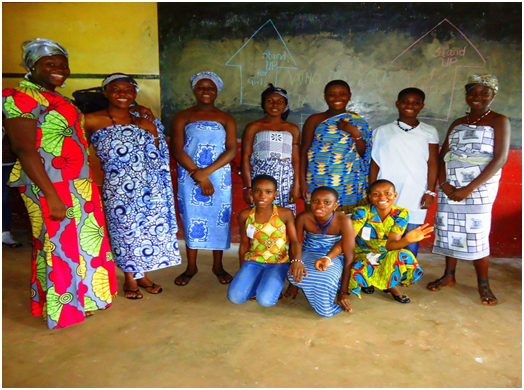 The LitClub girls of State Girls Junior High dressed up to represent all 10 Regions of Ghana as a way of advocating for all Women and Girls on the Day of the Girl. 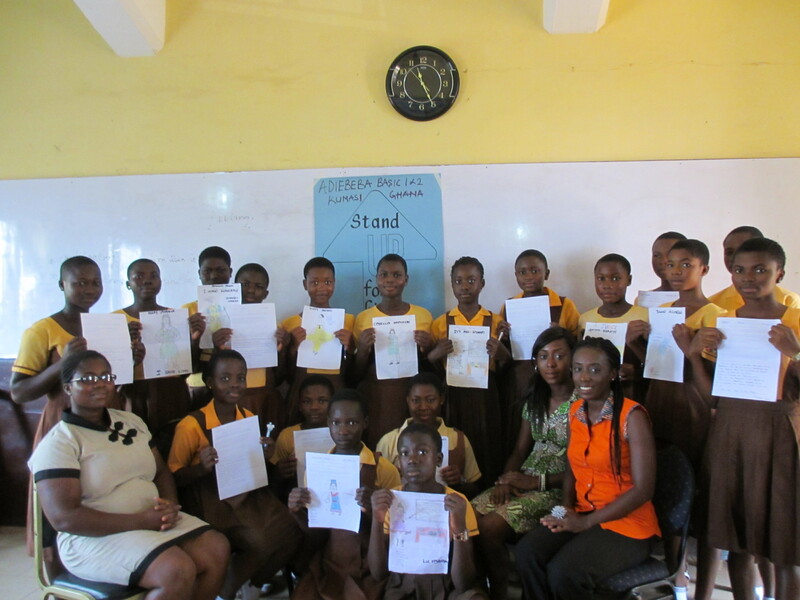 Meanwhile, LitClub members from Opoku Ware School in Kumasi, Ghana read letters to the Member of Parliament of their constituency to inform them about some of the issues they face as girls and what can be done to improve their lives. 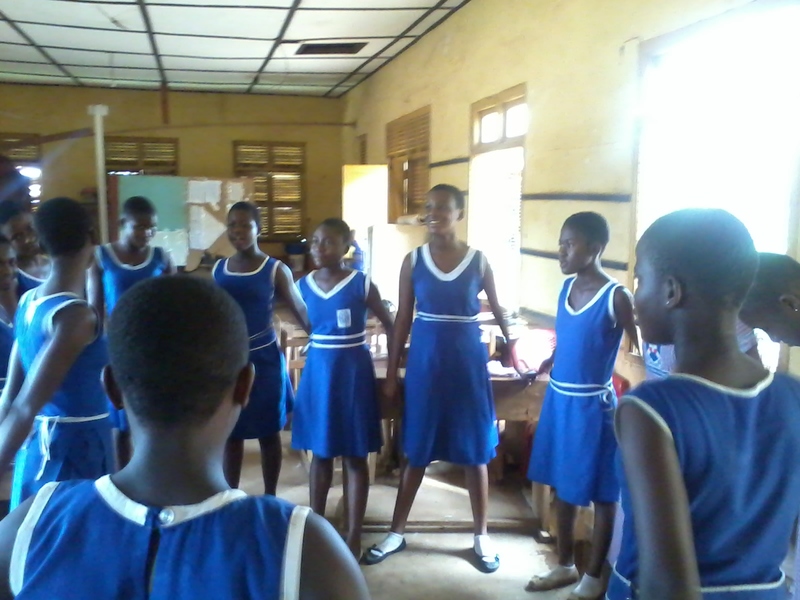 The girls of the Opoku Ware LitClub also shared stories with each other about the women and girls who have inspired and impacted their lives. Here we learned about a girl who attends school and sells sachet water in her community to support her family and herself. Today is the International Day of the Girl. Wherever you are, rally the community that surrounds you to Stand Up for every girl's right to share and to speak her story. 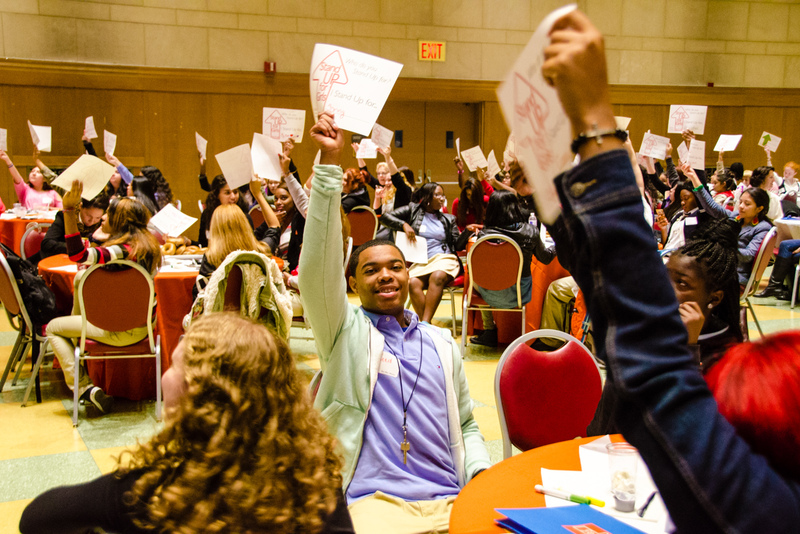 LitWorld's Executive Director, Pam Allyn, shares the urgency of spreading literacy to all girls in her latest blog for the Huffington Post. "Today is the International Day of the Girl. I want you to stand up at noon for every girl's right to tell her story. It sounds like a simple thing -- to stand up at noon. The action itself may be simple, but the statement and the intention behind the action is profound. Literacy transforms lives and levels the playing field for girls. No matter where in the world she lives, every girl is born with the most powerful tool imaginable to write her own future: her stories. My organization, LitWorld, runs Girls LitClubs around the world, so that girls everywhere can belong to a safe community of stories. With the guidance of trusted mentors and friends, and access to books and technology, LitClubs show girls how to become the author of their own lives." 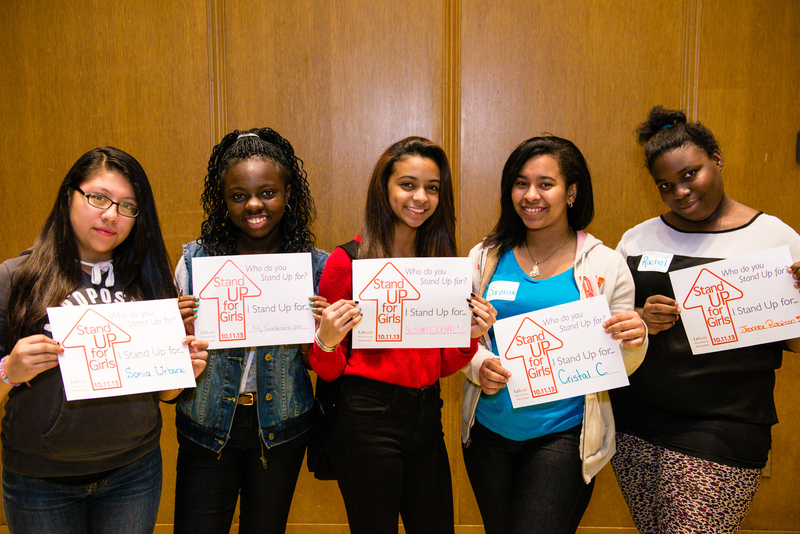 We need 100 supporters to start a #standup4girls social media thunderclap. What is Thunderclap? It is an app that allows organizations and their supporters to share a message on social media (Twitter, Facebook or Tumblr) in unison at the same time, automatically. 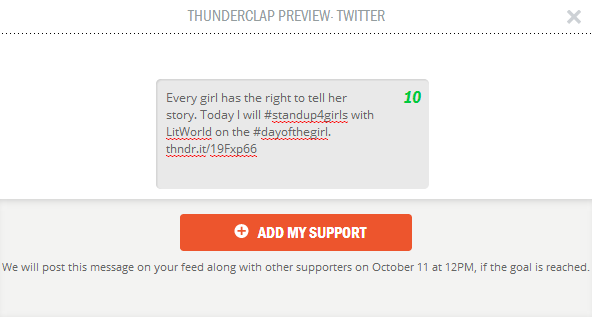 That means that if you pledge your support, the Thunderclap app will automatially post our #standup4girls message at 12pm EST on the October 11th International Day of the Girl. How do you sign up to add your support? 2. Choose which of your social media sites - Facebook, Twitter or Tumblr - that you'd like to use to share the message and click the button that says "Add My Support." 3. A "Thunderclap Preview" window will pop up. Click the "Add My Support." 4. 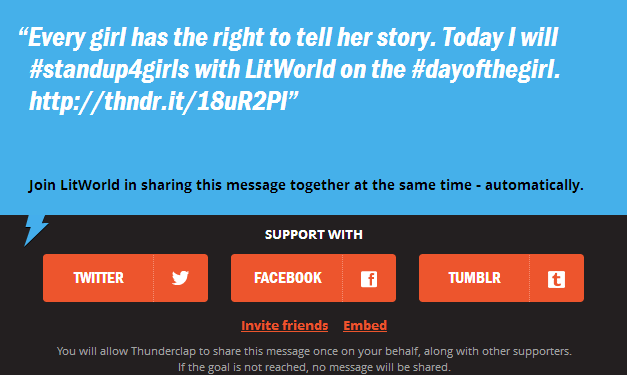 A window will open asking you to authorize the Thunderclap app for your Facebook, Twitter or Tumblr account. This window will also ask you to log in to your account in order to complete authorization. 5. You're done! 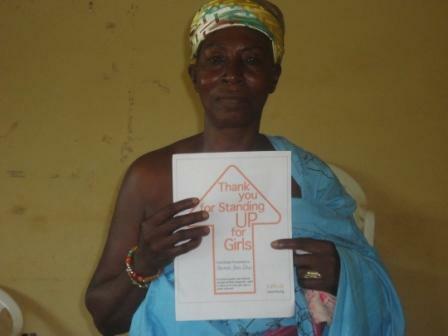 The #standup4girls message will be posted along with our other supporters at 12pm EST on October 11th. Thank you for joining us to speak out and Stand UP for girls' stories. The girl who inspires me is my daughter Hadly. Years ago, when she was 8 years old she knew how to ride a bike, but was attempting to learn how to make skid marks in our driveway. It was not easy for her as it is often the case when she is learning any new skill, they just don't come easy for her. 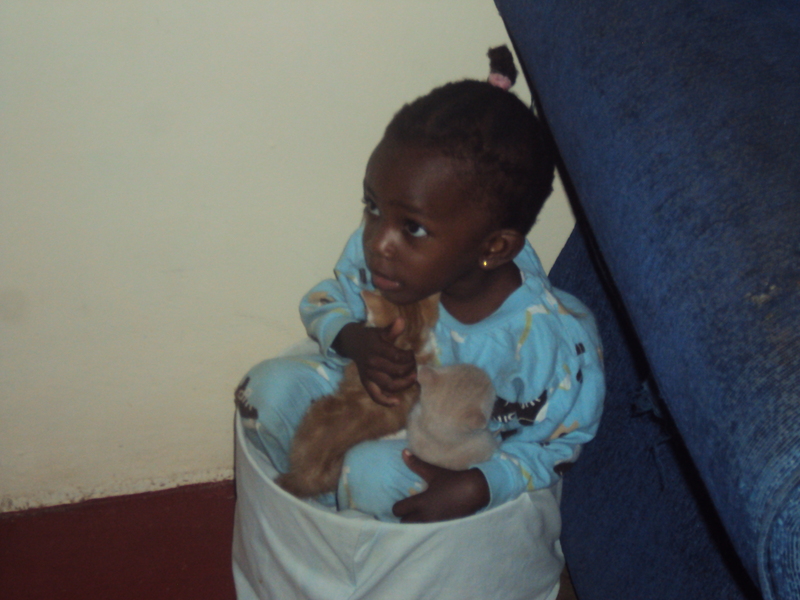 But she was determined, and as parents we were watching with jitters, praying that she would not get too hurt. We knew it was important to her, and that she was willing to take the chance. So we watched fall after fall, and after each she just got up, wiped her hands and knees, said "I'm fine" and tried again and again. I am so moved by her spirit of confidence, that she felt so capable. This image is ingrained in my memory as a reminder of her resilience when faced with any challenge. And for that I love her more deeply. Her indomitable spirit and strong sense of self inspire me daily. I stand up for Hadly. 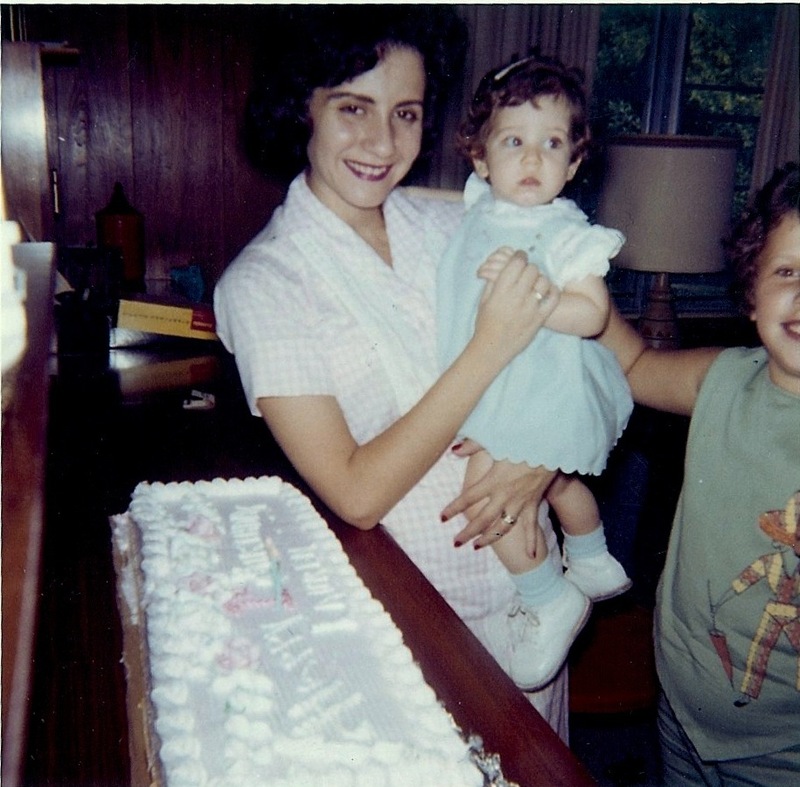 To honor a loved one on the Stand Up for Girls Blog, visit the LitWorld Story Bank to deposit her story. 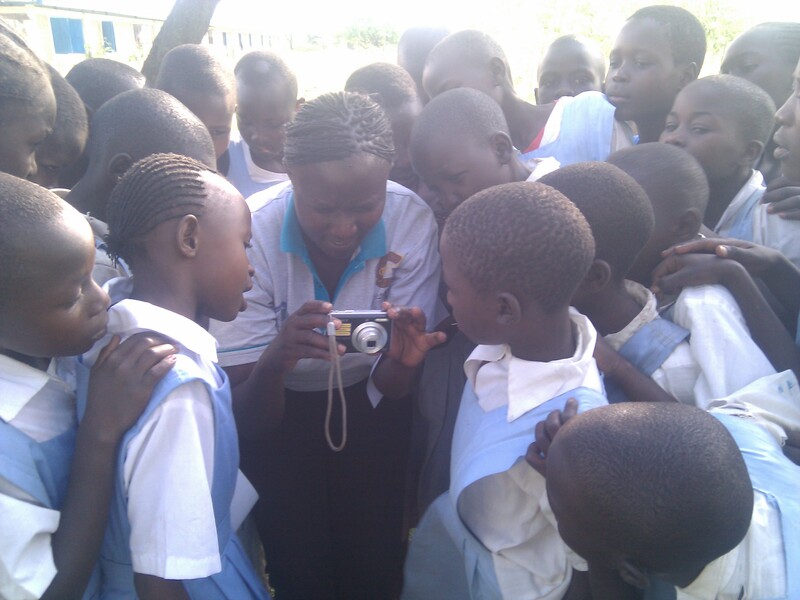 The world is listening, so raise your voice for every girl's right to tell her story. Here are actions that you can take today on Facebook, Twitter and your other social networking sites to tell your friends and followers about the #standup4girls campaign. 1. 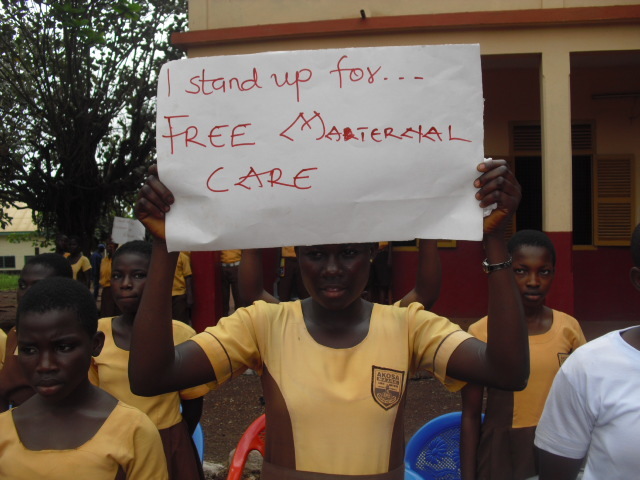 Share the Stand Up for Girls 2013 campaign video. 3. Write a post telling the world who you stand up for - the women and girls who inspire you every day - and use the tags #standup4girls and #dayofthegirl to add your message to the global story. My grandmother was the first woman in our family to go to college. 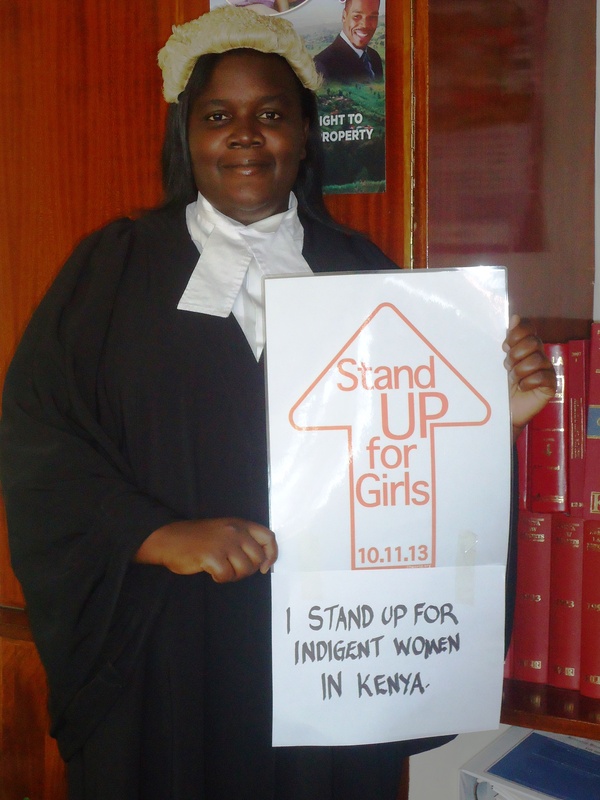 #standup4girls #dayofthegirl. Now it's your turn. Who do you stand up for? Whose Story Will You Stand Up For on 10.11.13? 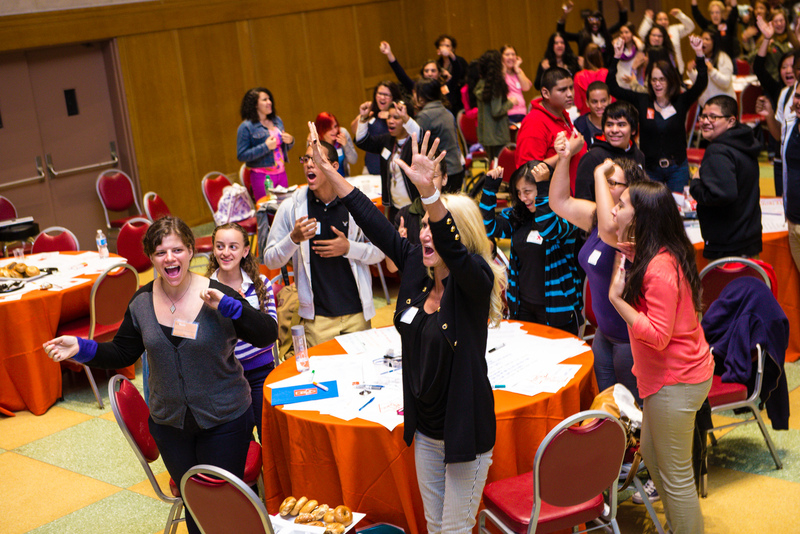 The Stand Up for Girls movement is fueled by stories. In honor of the October 11th Day of the Girl we're asking everyone to spread the word about the urgent issue of girls' education by writing a post on social media about the women and girls who inspire your life every day. The LitClubs and Moms LitClubs in Bulacan and Manila, the Philippines are doing just that. 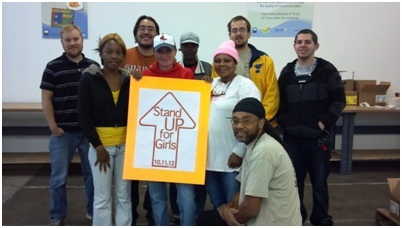 It was an honor to be part of the great Stand Up for Girls movement. The reach of LitWorld is truly inspiring. 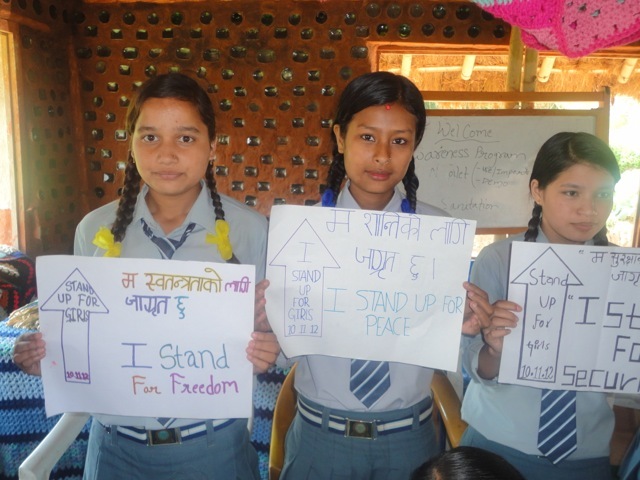 The girls in Nepal had a great time creating posters and sharing their message, and were very passionate about what they stood up for. Our foundation's program manager, Nabin discussed the Stand Up For Girls movement with the students and asked the girls to brainstorm ideas. Each student thought about what they believed in and what they thought was lacking in society. 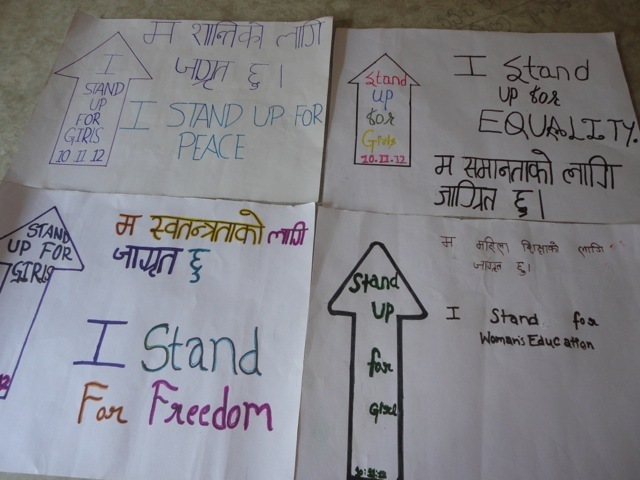 The girls created posters with their message in both Nepali and English. Stand Up for Girls on 10.11.12 coincided with our special Anniversary Event, where our Honorary Chairwoman Laxmi Aryal handed out the eBook readers to the students! We will go forward and continue to make this a better world for girls through education every day. We are honored to welcome guest blogger Charity Wallace, Director of the Women’s Initiative at the Bush Institute, and Senior Advisor to Mrs. Laura Bush. Women and girls are critical to peace and prosperity. Countries that promote girls’ education and women’s opportunity are proven to be more stable and prosperous. When girls are educated, they delay marriage, have fewer children, raise healthier, more educated families, and have opportunities to contribute in the workforce and earn an income. The simple ability to read can change the course of woman’s life and has a profound impact on her future and her country’s stability. Unfortunately, there are places in the world where women and girls are persecuted and prevented from pursuing their education. Just today, the Washington Post published an op-ed written by Mrs. Laura Bush that condemns the brutal attack by the Taliban on a fourteen year old Pakistani girl whose only crime was the desire to go to school. Mrs. Laura Bush chairs the Women’s Initiative at The George W. Bush Institute, which recognizes the dramatic effects that literacy, education, economic opportunity and the inclusion of women have on communities, and understands that progress in these areas can transform societies. Through the Bush Institute’s Women’s Initiative, we address these fundamental issues and invest in women so that they can catalyze change. The Women’s Initiative Fellowship Program, the signature program of the Women’s Initiative, is a leadership program that equips women to become effective leaders and improve society. Research shows that the best indicator of a women’s success is her network. With a strong network, a woman is better able to prosper in her field and multiply her influence. A woman taps into the resources and expertise of those within her diverse network, expanding its impact. Recognizing the significance of the network, the Women’s Initiative Fellowship classes are comprised of approximately twenty women from one country representing the six most influential sectors of society including education, health, business, politics, law and media. 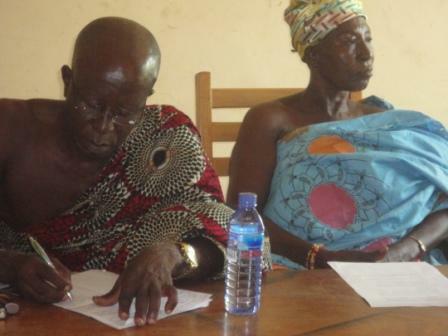 This structure ensures that the impact in the respective community is substantial, concentrated and powerful. The Women’s Initiative Fellowship combines coursework, hands-on skill building, sharing of best-practice models, dedicated mentors, and the development of a strong network to ensure that fellows return home prepared to create significant and lasting change in their country. 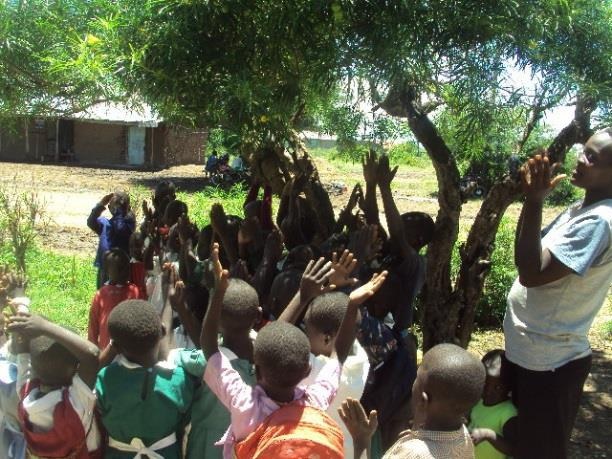 The Fellowship partners with organizations like LitWorld to enhance the fellows learning and introduce them to new programs, which could be replicated in their home country. The inaugural class of Women’s Initiative Fellows has made great strides since the program launched in February 2012. Since the beginning of the program, several Fellows have started their own businesses, one Fellow used her expertise in fundraising to raise over $32million for her charity, the Egyptian National Cancer Institute, another Fellow uses her voice and her photography skills for a campaign to stop sexual harassment, and one Fellow started her own online media organization called Bokra news to ensure uncensored news is available to Egyptian citizens. Though the Fellows did not know each other before the program, since returning to Egypt, many have worked together, using their unique skills and talents, to further causes that benefit women, children, and Egyptian society. The power of the network is evident in their success. The remarkable stories of the courageous Egyptian women that make up the inaugural class of Women’s Initiative Fellows can be found here. Supporting women and girls is one of the most important efforts of our generation and the Bush Institute’s Women’s Initiative will continue to stand up for girls and women around the world. The second grade girls at the International School of Dakar in Senegal are coming together this month to Stand Up for Girls! On October 11, 2012, we will ask the whole elementary school to wear orange and stand up at noon in solidarity with girls all over the world. To raise awareness, we will be posting signs around our school with global facts about girls, literacy, and education. In preparation for the big day, we’ve been talking to each other and other girls and women in our lives about what it means to be a powerful girl, and even writing letters to world leaders encouraging them to Stand Up with us! Read on to see what we have to say, and stay posted for photos of the big day! I Stand Up for new students at my school because I used to be one! As a new student who didn’t know any English, I felt lost and lonely in my new school. Some of my classmates were patient and welcoming, and I eventually made lots of friends. Now, I try to make friends with new students, make them feel comfortable in our school, help them learn to read and write English, and introduce them to more friends! Education opens your mind and changes your future. A powerful girl is interested in learning. She asks questions and listens to people’s answers. She wants to improve the world! Second grade girls Stand Up for girls’ soccer because we learned how to play the game last year and fell in love with it. Unfortunately, many days during recess we can’t even find a ball to play with or field space because the boys have beaten us to it. We stand up for girls who want to play sports at recess! I am standing up for girls, and I think it is very important. Some girls and women don’t even have one book, so please think about helping. 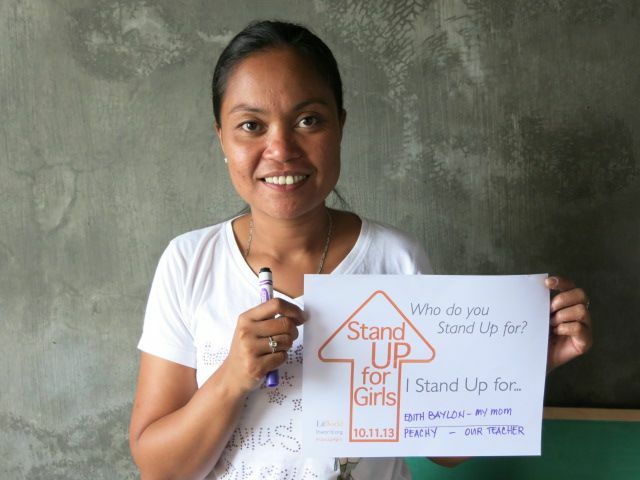 We are standing up for girls on October 11, 2012. I want to tell you about poor women and girls. It is important because they can’t learn anything because they have a lot of things to do and they don’t have money or homes. I want to help them and give them a good life. 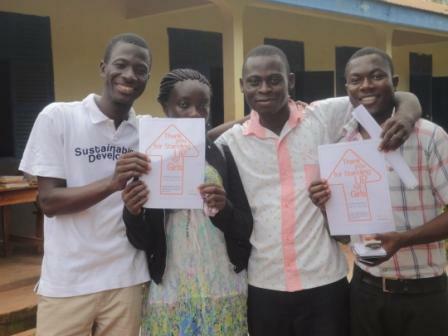 Susannah is a LitWorld friend currently teaching in Dakar, Senegal. We thank her and all the girls at the International School of Dakar for sharing their special Stand Up for Girls activities and stories, and for modeling what it means to be Fierce, Fearless, and Free!